Summer, Autumn, Winter, Spring. Amber Lodge is something special. Return lodgers will be happily surprised to see that the entire lodge has been refurbished with stylish and functional updates to rooms and facilities. First time visitors will discover a safe, fresh and cosy, seven- bedroom, five- bathroom retreat with a beautifully appointed kitchen and welcoming communal gathering space. A range of accommodation options are available to suit club, family and friendship groups as well as individual enthusiasts. Outside the Winter season, the lodge is available as a full lodge, two- night minimum stay booking only. 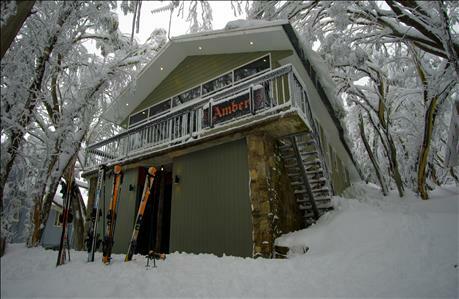 Amber is an ideal retreat for relaxation and recovery after days spent bush walking, bike riding and exploring all that Mount Buller has to offer. Resident managers, Jo, Frank and their family will ensure that your stay is comfortable, relaxed and memorable. We want you to return to us, year after year, season after season, all year round!